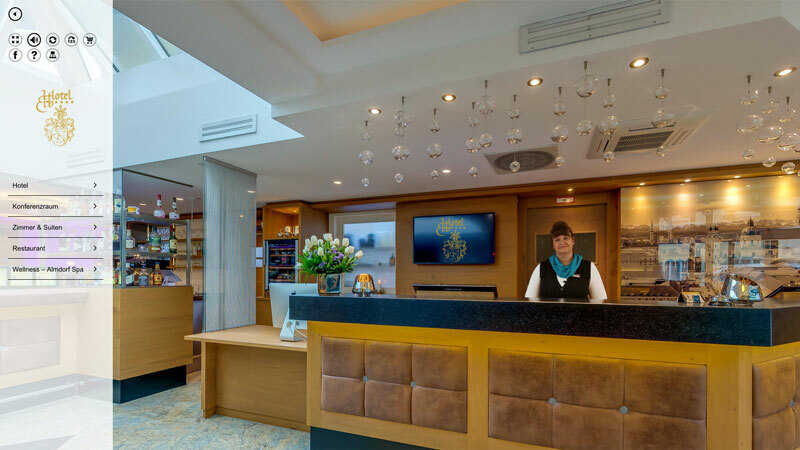 At the 4-star Best Western Plus Hotel ERB in Parsdorf in Munich, business traveler’s connoisseurs meet for meetings with character, short breaks with spirit of discovery and hungry with taste. The modern 4-star hotel with all its services and facilities of the upscale hotel welcomes you with a warm heart and Bavarian lifestyle. Fine dining, a small snack, a freshly tapped and more offer kitchen and cellar. Romantic stay, relaxing sleep, stylish suites dreams experience. Well maintained sauna, relaxing rest or one round cardio workout in the wellness Almdorf Spa and fitness area. Always well looked after by a good-humored staff around your hosts, the hotelier family Xenia and Christian ERB. 4 conference rooms. Space for 90 participants in the largest room. Restaurant, hotel bar, gourmet breakfast, beer garden, summer terrace, Sunday brunch. Only 7 km away from the New Munich trade fair center and the ICM, 15 km to the train station and 23 km from the airport. Free Wi-FI in all areas. Parking is free in the hotel's own parking lot. Almdorf Spa with 4 saunas, aromatic steam bath, infra-red stone pine lounge, relaxation room and fitness with modern cardio - and strength equipment. We are always offering a good deal for business travelers, meeting organizers, Party-goers, Munich Explorer, families with children, Oktoberfest visitors, New Year's Eve guests and all those who want to be pampered. Check-in: from 14:00 (2pm). Check-out: until 12:00 noon. You can book also with us an earlier check-in or later check-out or a real living room. This is a non-smoking hotel. No smoking in all rooms. A disabled room is available. Pets are welcome, you can book your little four-legged friend feature additional services through our best online services. The chewing (nibbling) of the maid is not allowed. Lufthansa and other airline miles, payback points and Best Western rewards are services we can provide, but only if you have booked directly with us.